Staff file photo by Doug Strickland / A poll worker sets out "I Voted" stickers on the first day of early voting at a previous election. Today's the day. Today is the county primary when you can elect local county officials to represent your party in the county general election on Aug. 2. Polls are open from 8 a.m. to 8 p.m. Although there has been more interest this year among Democrats to field campaigns locally and statewide, it's unlikely that the balance of power will shift much in the Tennessee General Assembly — or in county government. On the local ballots, Republican candidates qualified in all but two of 18 races. On Democratic ballots, 10 of those 18 races tout the words "No Candidate Qualified." And as Chattanooga Times Free Press Nashville Bureau reporter Andy Sher reported Monday, Republicans, who have dominated the 99-member state House and 33-member Senate since the 2010 elections, will remain in charge and likely retain their super majorities in the 111th General Assembly. In fact, the Senate definitely will, given the lack of Democratic opposition in many Senate districts. The House of Representatives, however, will look quite different. A quarter of the members of the House — 16 Republicans and nine Democrats — are hanging it up this year and retiring from state lawmaking. If — a really big, virtually impossible, if — all nine Democratic seats remain filled by Democrats and if the vacating 16 Republicans were to be replaced by Democrats, then the House breakdown would be 50 Democrats and 49 Republicans. No one expects that to happen, of course, but just as it's been years since so many sitting Tennessee lawmakers voluntarily gave up their seats, it's also been many years since Tennesseans saw even this much campaigning from Democrats, period. We're doing somewhat better in fielding Democratic candidates, but we've still got a long, long way to go for real improvement. We see it in local campaigns, and we see it nationwide in local, state and national races. Hamilton County District 7 Commissioner Sabrena Smedley, a Republican who is unopposed in her re-election bid, ran an ad on Monday's Times Free Press Region page exhorting a "go vote" message. On Monday she told The Chattanooga Times editor that low voter turnouts in recent elections disturbed her, so even though she has a guaranteed win, she wanted to take the opportunity to promote voter participation. "Everything starts local," her ad states. On the bright side, Tennessee may well have a new Democratic U.S. senator, come November. Former Gov. Phil Bredesen is leading U.S. Rep. Marsha Blackburn in the polls for the seat Chattanooga's Bob Corker is vacating. And Corker is but one of many retirements from Congress. Why so much turnover, both in the state house and in Congress? The poisonous partisan politics of our president is one reason. Political fatigue at the statehouse is another. And there is ambition, too, with many incumbents deciding not to see k re-election. Area lawmakers hitting the state Capitol exit door include Rep. JoAnne Favors, D-Chattanooga; Rep. Marc Gravitt, R-East Ridge; Rep. Kevin Brooks, R-Cleveland; Rep. David Alexander, R-Winchester; Rep. John Forgety, R-Athens; and Rep. Jimmy Matlock, R-Lenoir City. Gravitt hopes to become Hamilton County's Register of Deeds. Brooks, current vice chairman of the House Finance Committee, is seeking to become Cleveland's next mayor. Alexander is running in Tuesday's Franklin County mayor election. Matlock hopes to join Congress and is seeking a primary win in the 2nd Congressional District's Aug. 2 Republican primary. Chattanooga's Favors, one of just two East Tennessee Democrats in the General Assembly, was more willing than most to talk about political fatigue. When she first announced her impending political retirement, the retired nurse and health center administrator cited as reasons increased responsibilities for her aging mother and young great-grandchildren. But as the session ended last week, the seven-term incumbent said this political session reinforced another reason — the Nashville political climate. The GOP super majority at the last minute deep-sixed Democratic-sponsored bills by adjourning a committee meeting without taking up important health measures. Another Favors crusade, a bill aimed at getting seat belts on school buses after the fatal crash of a Woodmore Elementary School bus in Chattanooga, didn't pass either, despite the fact that Gov. Haslam provided $3 million in the state budget for interested districts to apply toward the increased costs when they purchase new buses. "The Health Committee has become too partisan," Favors said. "A lot of things have happened the last two or three years that I have not been happy about." She added, "I am not going to waste the time I have left on this earth because I can do more as a citizen in advocating for things [for] our citizens, being one of the poorest, sickest groups of people in the nation. And for us to do things like that is just wrong. And I really resent it." 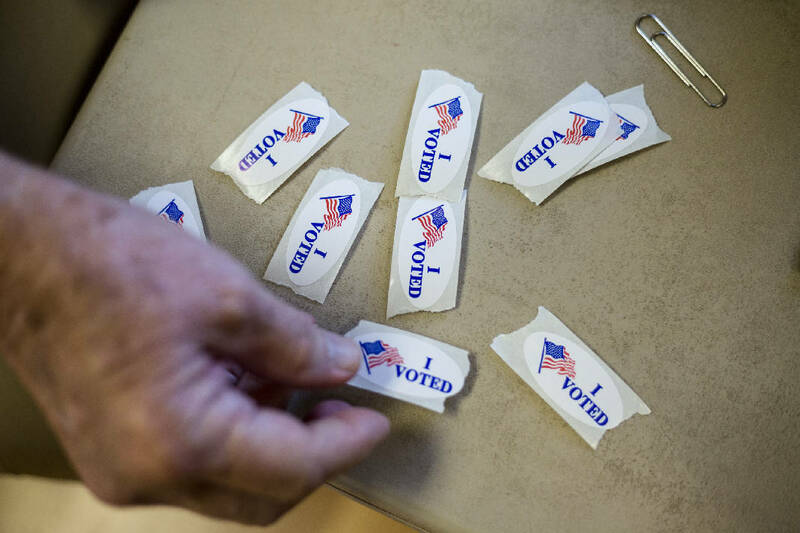 Voters apparently resent it, too, and perhaps that's why early voting turnout this year was "on the low end" of the average over the past 10 years, according to Kerry Steelman, administrator of elections for the Hamilton County Election Commission. But channel that resentment today. Go vote. It does matter.